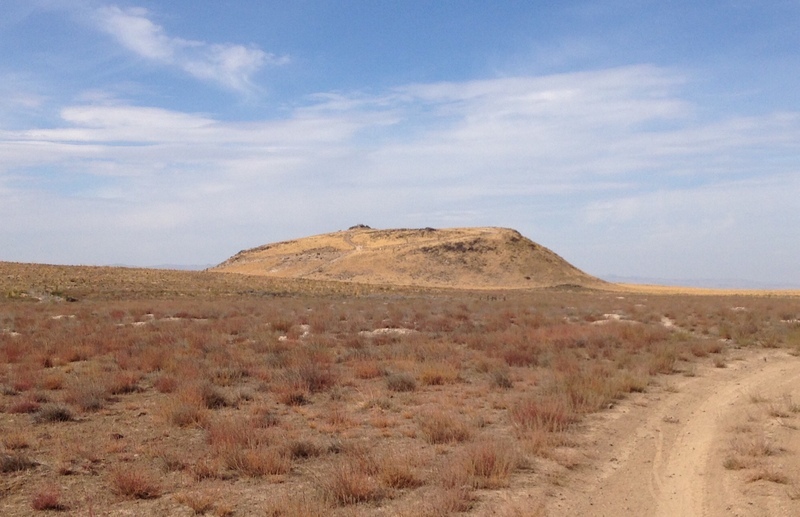 Fifteen million years ago volcanic activity on a massive scale began once again in Idaho. This activity created the expansive Snake River Plain and is still continuing, with the last eruptions occurring only two thousand years ago. Geologists are still formulating the theoretical explanation of the forces that formed the Snake River Plain. Some hold to the theory that the plain was formed by a massive subsidence of the earth’s crust; there is evidence to support this theory. 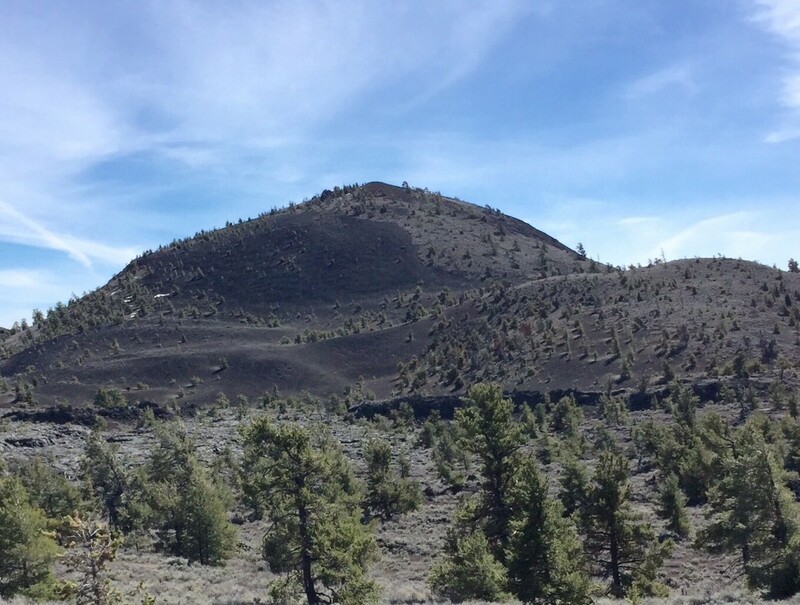 More recently, it has been theorized that the volcanic plain is the result of the North American Plate crossing over a “hot spot” in the mantle similar to the one that is credited with the formation of the Hawaiian Islands. According to this theory, the hot spot is now under the Yellowstone Plateau–where evidence of volcanic activity is certainly apparent. The age of the rocks in the Snake River Plain supports this theory; the youngest rocks are in the vicinity of Yellowstone, with the rocks getting progressively older to the west. Whatever the explanation behind its formation, the Snake River Plain is a veritable museum exhibit of volcanic activity, with both volcanic cones and large fissures (where the earth simply opened up and lava poured out) on display. Many of the lava flows are so fresh that vegetation has barely taken hold. The features found in this region include massive calderas, shield volcanoes, symmetrical cinder cones, spatter cones, lava flows, lava tubes, ice caves and numerous rift systems. 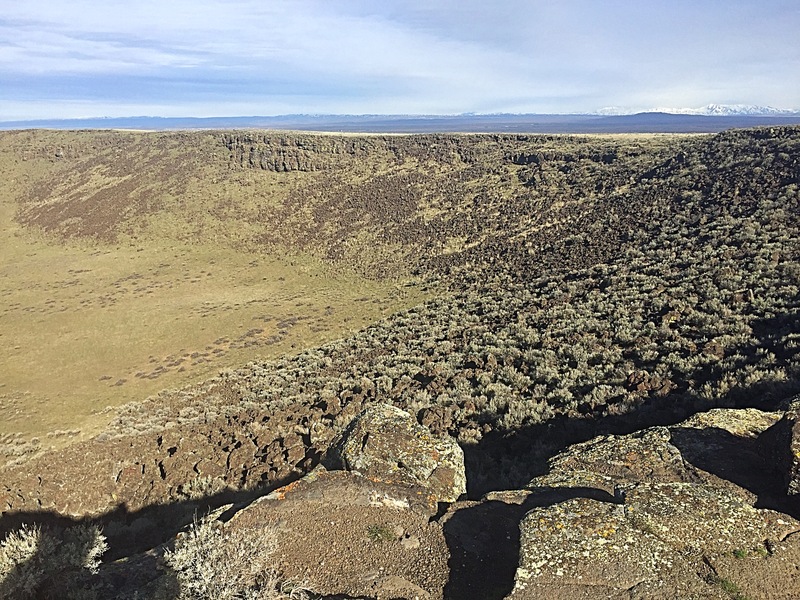 The Great Rift runs from Craters of the Moon National Monument southeast and south for 50 miles and is up to 5 miles wide. An aerial view of the Great Rift reveals more about how the Snake River plain formed than words might ever express. From the air you see the rift as a huge crack which runs for miles. On either side of the crack, dark lava flows have poured out like blood from a cut and then hardened like crusty scabs. Because of its massive size the Snake River Plain is difficult to comprehend from any terrestrial perspective. Large features are swallowed up by the vastness. 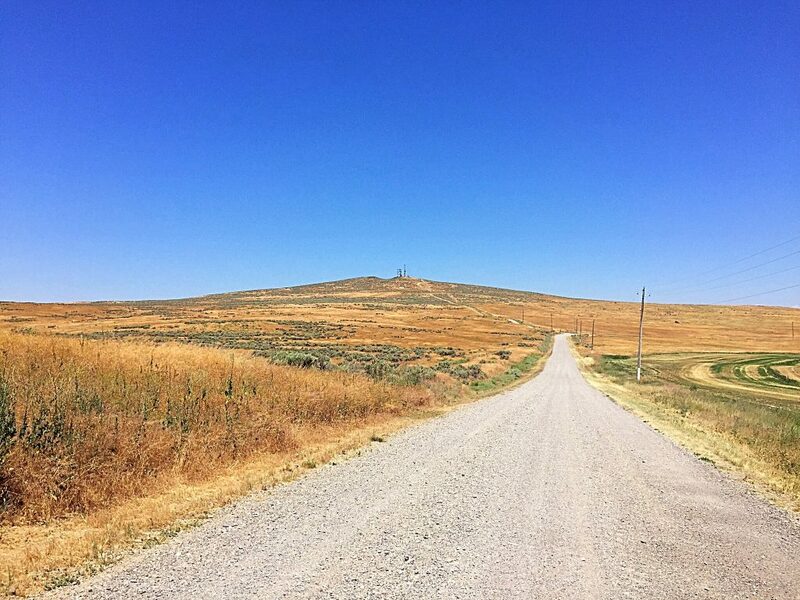 For example, when you are on top of a butte, like Wildhorse Butte, you will realize that you are significantly “up in the air” but when you look at the butte from a distance it only appears as a slight rise. 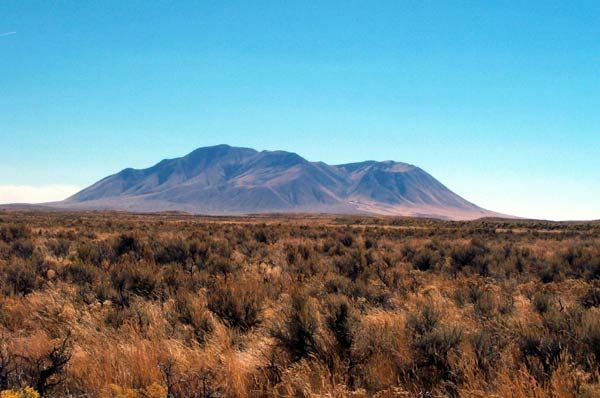 The many volcanic cones found in the Snake River Plain are not discussed in the book which focused on the state’s mountains but many of these cones have become goals for peakbaggers and so I have decided to include many of them on this web site. Craters of the Moon National Monument is a great place to explore the most recent volcanic activity. 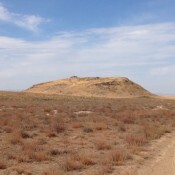 Kimama Butte is a relatively easy to reach spot to get view the plain. Crater Butte harbors one of the plain’s most interesting and least known feature. Big Southern Butte is the highest of all the volcanic cones. Please feel to contribute to this new section. You will be given full credit for your contributions. Sheldon Blustein’s web site “Exploring Idaho’s High Desert” is a fantastic resource for getting out and about on the Snake River Plain. 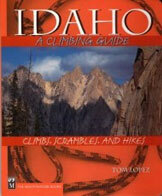 He has written about dozens of desert hikes and a number of his hikes will take you to the top of the plain’s buttes. The book Snake: The Plain And Its People, edited by Todd Shallat, is the single best resource on this fascinating area. Crater Butte harbors a giant crater. This is the north wall of the crater which is 300 feet deep. Big Cinder Butte viewed from the Tree Molds parking lot.